Liverpool's sponsor wants the club to sign Asian stars to help tap into commercial opportunities in the region. Standard Chartered sponsorship chief Gavin Laws cited Manchester United's signing of Park Ji-sung as an example of connecting with the Asian market. "The real power Liverpool could do for us, and for the Premier League, is if there was a way they could nurture foreign players from Asia," said Laws. 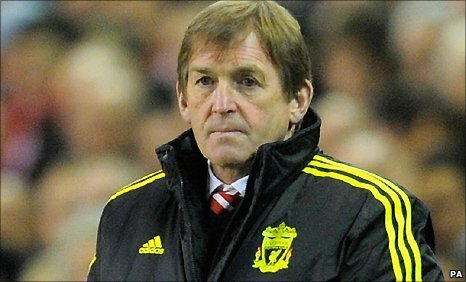 He added that the bank wanted Kenny Dalglish to stay as Liverpool boss. "I'd like to see Kenny as the long term manager - I'm sure the club would," commented Laws. "They are going to be talking to him if they aren't talking to him already. "The Kenny magic is all around the world, everybody believes Kenny can take the club [forward] and that means they stay focused and that means they stay in the newspapers around the world... we are looking for brand awareness." Liverpool signed an £80m, four-year shirt sponsorship deal with Standard Chartered in September 2009. And while the company is based in London, much of its income comes from the Asian market. Speaking at the SoccerEx conference in Manchester, Laws added: "The markets in Asia and the Middle East are so nationalistic, they are very proud about their countries. "One appearance from a player, say from Dubai in the Premier League, and you'd have the whole of Dubai watching it." Laws felt that the exposure would be commercially beneficial to his company as well as to Liverpool. He continued: "You see what Park Ji-sung does for Manchester United." Liverpool are unlikely to finish in the top four and so are set to miss out on the riches of the Champions League for a second successive season - however, they could still qualify for the Europa League. With eight more matches remaining this season, Dalglish and his men find themselves sixth in the Premier League, four points adrift of fifth-place Tottenham, having played one game more, and eight behind Manchester City in fourth. However, Laws thought it was "not that important" if Liverpool once again miss out on a place in European club football's most prestigious competition because matches are played when the bank's target audience in Asia is asleep. He also said that the club's struggles on and off the pitch this season had actually benefited his company. "I would have thought that Liverpool have had more exposure around the world this season than anybody else......without the turmoil at the club there wouldn't have been [the publicity]," he said. "They are a mid-table team with an outside chance of getting into the Europa League again." The takeover of Liverpool by US company New England Sports Ventures, owner of the Boston Red Sox, was completed in October 2010 and generated huge global media coverage.